Plain and simple, this is the best true metal festival in the USA. The list of bands so far for the 2015 festival is killer. It’s already nearly sold out, so if you plan on going, get your tickets now. This will be Warlord’s first ever USA show! 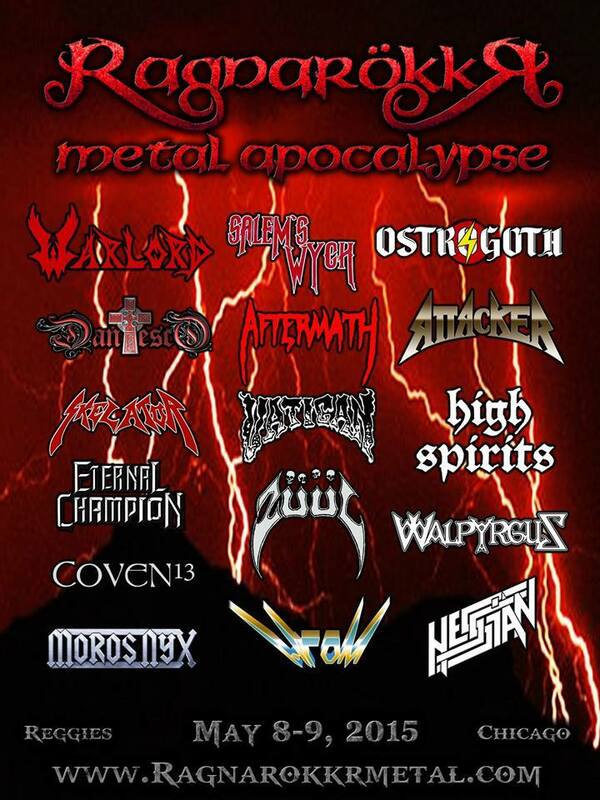 This also marks the return of my band, Eternal Champion, to Chicago to play the main stage this year. Other highlights for me will be Attacker and High Spirits. If you haven’t heard them yet, you’re doing yourself a real disservice. Great straight up hard rock/metal.